During wartime, it is not uncommon for the artists of the world to serve their country by using their artistic talents. Rather than wear the uniform and take up arms, the artists would be tasked to use their talents to help their country rally around their troops, enlist, buy war bonds and participate in a myriad of other activities that were needed during a time of war. They created what we today call propaganda but these lasting symbols of patriotism encouraged the “troops at home” to support the men at war. From uniformed soldiers, sailors, airmen and Marines to pretty young women encouraging the support of the war effort, patriotic artists served in a way that was perhaps every bit as effective as if they wore a uniform. Their service to their country, while not full of the heroics of those wearing the uniforms of the armed forces, did help those brave men and women keep this country free. I’ve been able to find a number of World War I posters. They encourage our country’s citizens to do everything from not wasting food to enlisting in the armed services. They are also wonderful examples of post-Victorian art and the beginning of the art deco period. 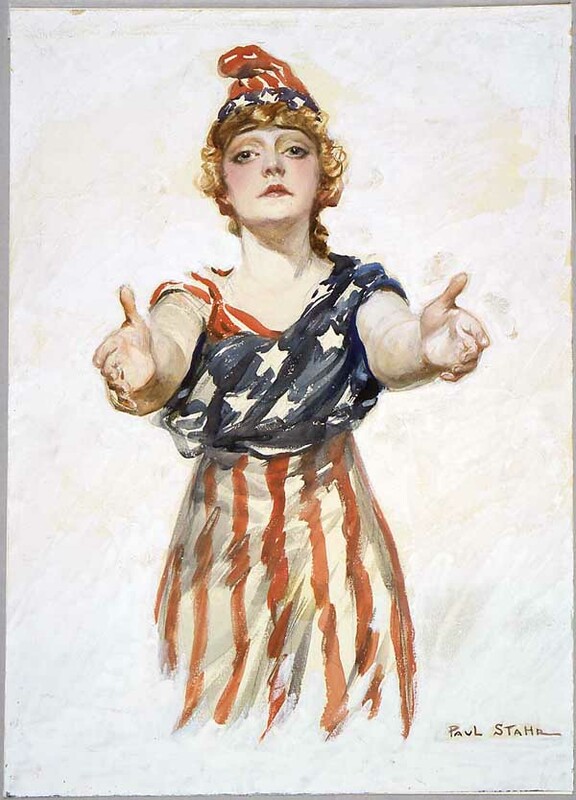 We’ve started our collection with perhaps one of the most famous patriotic images – Columbia – the female equivalent of Uncle Sam. 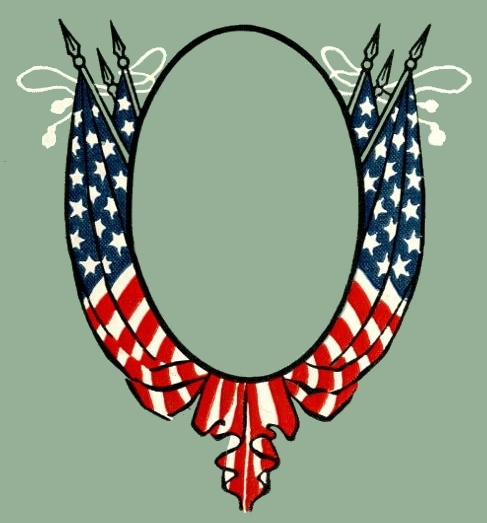 A round frame crafted from 6 American flags. Frame image in public domain could be used to honor your favorite service member in a scrapbook or frame. 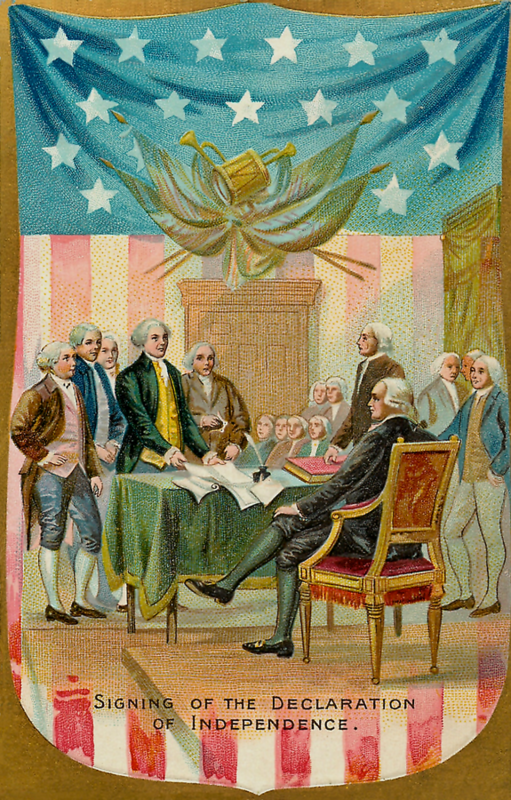 Signing the Declaration of Independence, July 4th, the anniversary of the birth of the United States. Vintage postcard suitable for printing. 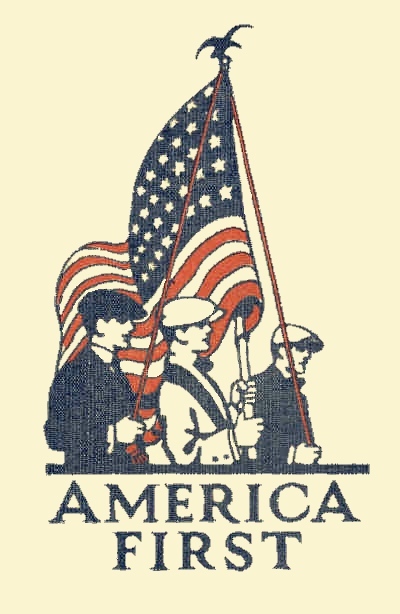 America First Vintage Book Cover & Patriotic Image from 1916. 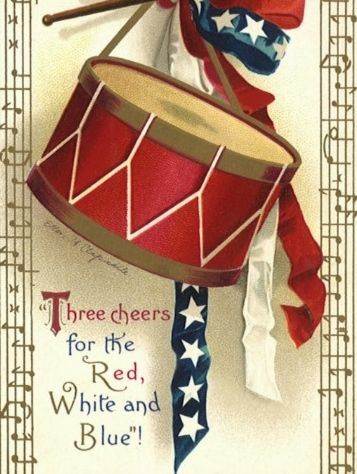 This American public domain image could work well for your 4th of July celebrations. A vintage Clapsaddle postcard on the opening day of the Sochi Olympics. My little public homage to the talented athletes and showing a bit of patriotism. 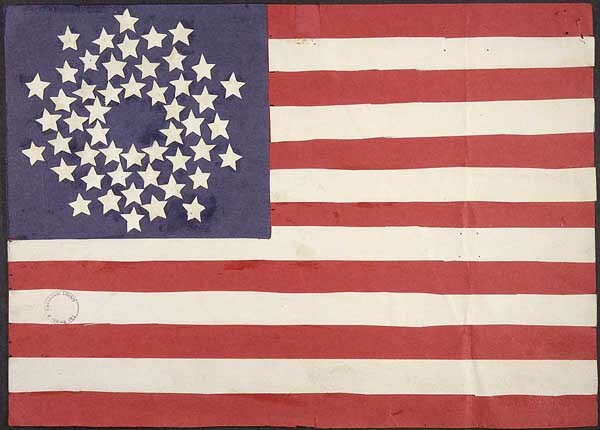 Americans were invited to submit ideas for a new flag that would include stars for Hawaii and Alaska – we have a few of the suggestions. World War I Liberty Bond poster designed by the artist Howard Chandler Christy and beautifully combines his combat art work with one of his Christy girls. Vintage World War I propaganda poster by Edward Penfield. 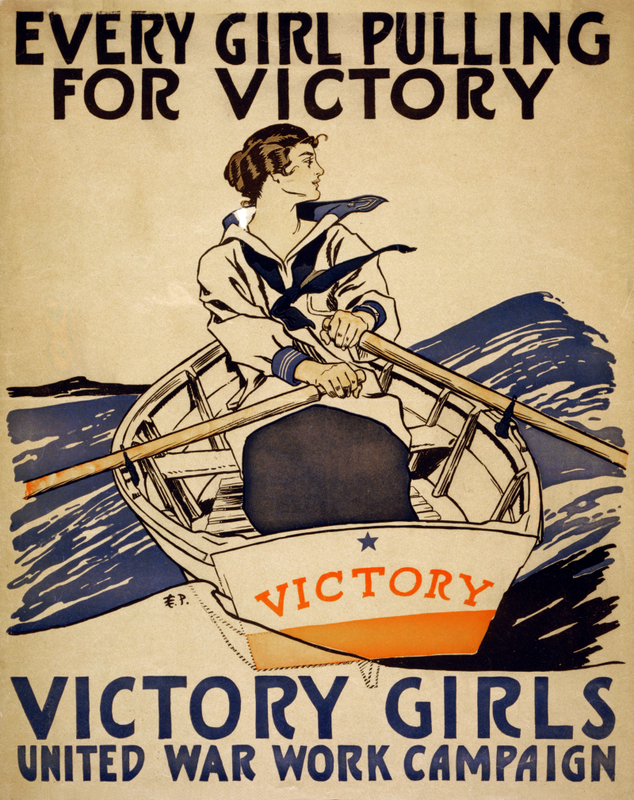 Every Girl Pulling for Victory, features a strong young women rowing a boat called the Victory. 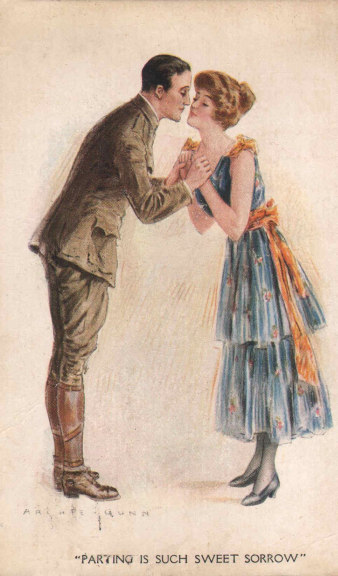 Vintage, copyright free, romantic, patriotic postcard depicting parting is such sweet sorry by the artist Archie Gunn (1863 – 1930). 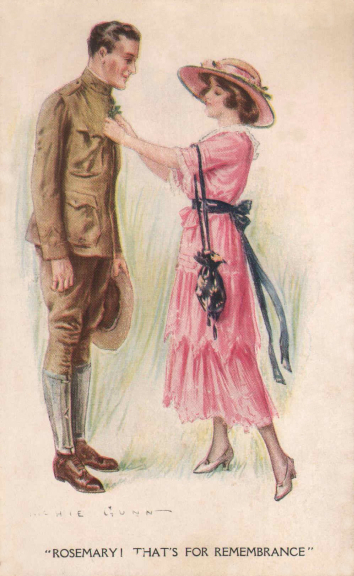 This vintage patriotic postcard from World War I has a young lady pinning a sprig of rosemary to the lapel of her departing soldier. 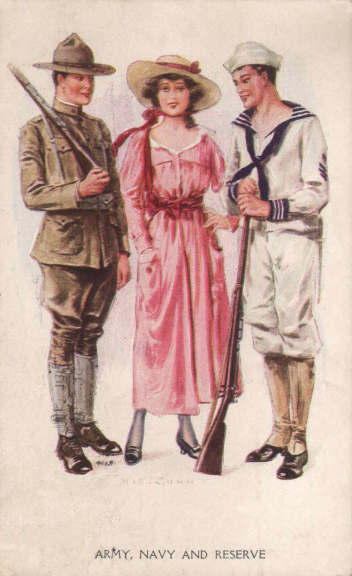 World War I era patriotic postcard featuring a soldier, sailor and lady reservist. All 3 are standing and look ready to take on the world. 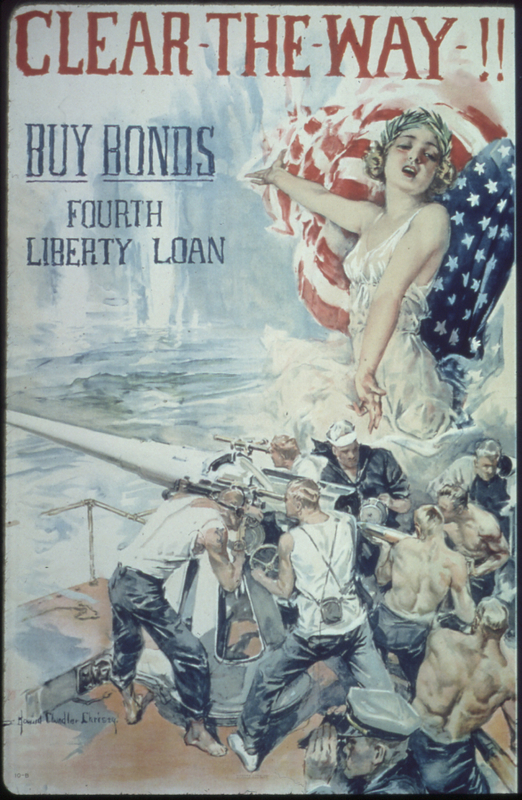 World War I patriotic poster designed by Paul Stahr. Known as Columbia, she was thought to be spiritually uplifting and depict the ideals for which Americans were fighting.